Ever wonder where some of the words and phrases we use today came from? Well, here is a little history....true or not, makes a great story, ey? You have heard of Lady Godiva, right? She rode through town and into the Market Place to protest a tax. The story goes that all of the respectable towns people looked away and shut their shutters.....except one, named Tom, who peeked through to see this lovely lady riding a beautiful horse in nothing but what God gave her on her birthday. The History of the Middle Finger? 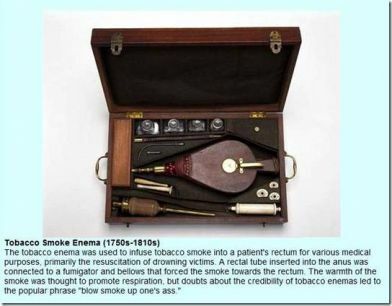 Well, now......here's something I never knew before, and now that I know it, I feel compelled to share it with my more intelligent friends in the hope that they, too, will feel edified. Isn't history more fun when you know something about it? IT IS STILL AN APPROPRIATE SALUTE TO THE FRENCH TODAY! And yew thought yew knew every plucking thing. Houses had thatched roofs-thick straw-piled high, with no wood underneath. It was the only place for animals to get warm, so all the cats and other small animals (mice, bugs) lived in the roof. When it rained it became slippery and sometimes the animals would slip and fall off the roof. Hence the saying: It's raining cats and dogs. The floor was dirt. Only the wealthy had something other than dirt. Hence the saying, Dirt poor. The wealthy had slate floors that would et slippery in the winter when wet, so they spread thresh (straw) on floor to help keep their footing. As the winter wore on, they added more thresh until, when you opened the door, it would all start slipping outside. A piece of wood was placed in the entranceway. Hence the saying a thresh hold. In those old days, they cooked in the kitchen with a big kettle that always hung over the fire. Every day they lit the fire and added things to the pot. They ate mostly vegetables and did not get much meat. They would eat the stew for dinner, leaving leftovers in the pot to get cold overnight and then start over the next day.Sometimes stew had food in it that had been there for quite a while. Hence the rhyme, Peas porridge hot, peas porridge cold, peas porridge in the pot nine days old. Lead cups were used to drink ale or whiskey. The combination would sometimes knock the imbibers out for a couple of days. Someone walking along the road would take them for dead and prepare them for burial. They were laid out on the kitchen table for a couple of days and the family would gather around and eat and drink and wait and see if they would wake up. Hence the custom of holding a wake. England is old and small and the local folks started running out of places to bury people. So they would dig up coffins and would take the bones to a bone-house, and reuse the grave. When reopening these coffins, 1 out of 25 coffins were found to have scratch marks on the inside and they realized they had been burying people alive. So they would tie a string on the wrist of the corpse, lead it through the coffin and up through the ground and tie it to a bell. Someone would have to sit out in the graveyard all night (the graveyard shift.) to listen for the bell; thus, someone could be saved by the bell or was considered a ..dead ringer.. Here are some right from the Bible....words of old for sure. There is one Christmas Carol that has always baffled me. swimming swans, and especially the partridge who won't come out of the pear tree have to do with Christmas? This week, I found out. But worse than that were the really poor folk who couldn't even afford to buy a pot......they "didn't have a pot to piss in" and were the lowest of the low. The word carousel means "little war", and originally was used to describe a combat preparation exercise and game played by Turkish and Arabian horsemen in the 1100s. The early carousel was used as a cavalry training mechanism to prepare and strengthen the riders for actual combat as they wielded their swords at mock enemies. I have heard the phrase for many years "She kicked the bucket" meaning someone died. "Kicked the bucked"? OK, now that I am milking Rena, my goat that must be restrained while milking.........I get it. In the 3rd century, Emperor Claudius II was faced with defending the Roman Empire from the invading Goths. He believed men who were not married made better soldiers so he forced the military to ban traditional marriage. He also forced the Senate to deify the former Emperor Gallienus, including him with the Roman gods to be worshiped. The ten major persecutions of Christians in the first three centuries rendered historical records scarce, but the legend is that Saint Valentine was a priest or bishop in Italy. When the Emperor demanded the Church violate its conscience and worship pagan idols, Bishop Valentine refused to comply. Valentine risked the Emperor's wrath by standing up for traditional marriage, and secretly marrying young men and women. Saint Valentine was arrested, dragged before the Prefect of Rome, who condemned him to be beaten to death with clubs and then have his head cut off on FEBRUARY 14, 269AD. While awaiting execution, the story is he prayed for the jailers' sick daughter, who miraculously recovered. He wrote her a note and signed it, "from your Valentine." In 496 AD, Pope Gelasius designated FEBRUARY 14th as "Saint Valentine's Day." The Greek name for Christ, Χριστός, begins with the letter "Chi" written as an "X," which is why X-mas became the abbreviation for Christmas. In Medieval times, the "X" was called the Christ's Cross, or as it was later pronounced, "Criss-Cross." The Christ's Cross was a form of oath, from whence "crossing one's heart" was derived. Just as people would swear upon a Bible, then say "so help me God" and kiss it, people would sign a document next to the Christ's Cross then kissed it as a promise before God that they would keep the agreement, a practice which has come down to us as "sign at the X". This is the origin of signing a Valentines' card with "X"s and "O"s to express a pledge before God to be faithful, sealed with a kiss of sincerity. As with all of our sites, this site is a work in progress. 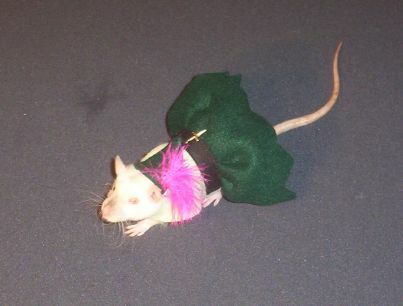 We do sell Renaissance and Pirate outfits for pet rats, guinea pig and other small animals on our sister sites. We also sell Pirate Hats for small dogs and will be adding some of larger sizes and more variety, as well as Pirate Outfits for dogs, soon. The contents of this page for Word/Phrase History is still under construction. Please check back later!